Palram Rion Sun Room 6 x 12 White: This sun room will provide you with a really attractive additional space for you to enjoy and can be used for relaxing, entertaining family or friends or can provide extra space in which you can place your house plants. 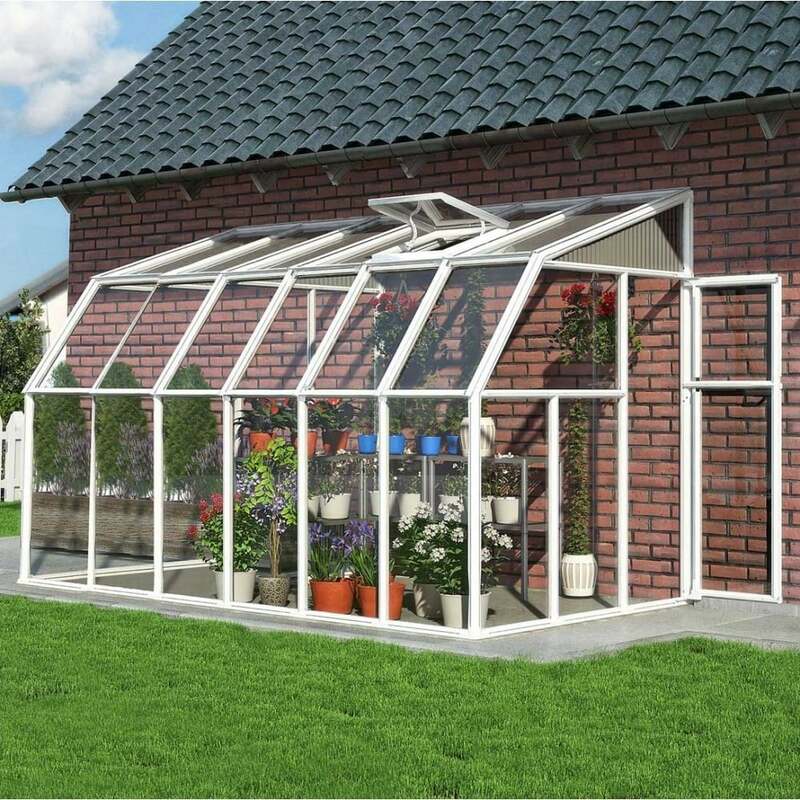 This solarium features a durable resin white frame, shatter resistant polycarbonate roofing panels and a roof vent providing airflow and enabling you to regulate both heat and humidity. The acrylic wall panels are easy to maintain and this sun room is certain to provide you with all year round enjoyment. Includes 7 year warranty against manufacturing defects.